The SportDOG - Field Trainer SD-400S Receiver Nickel Metal Hydride (NIMH) battery is the perfect replacement battery at a great price! The SportDOG - Field Trainer SD-400S Receiver battery is manufactured to reliably meet original manufacturer specifications. 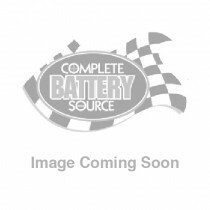 Trust Complete Battery Source for all your battery needs, including a full line of Electronics Batteries.